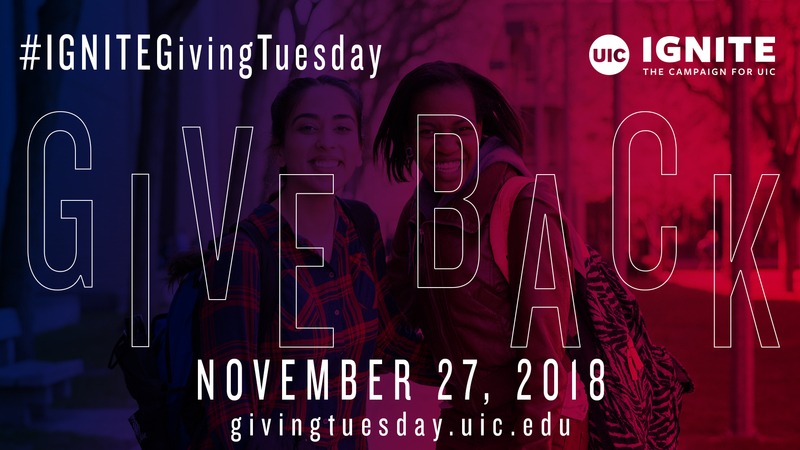 Make an impact at UIC during IGNITE GivingTuesday on Nov. 27 — a day that aims to unify the campus community under the act of giving back. Last year, IGNITE GivingTuesday raised more than $117,000 from about 700 donors. 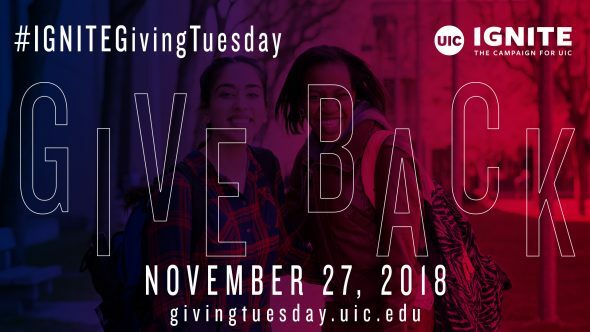 IGNITE GivingTuesday is part of a larger fundraising campaign on campus, called “IGNITE: The Campaign for UIC,” which launched last fall. The campaign’s goal is to raise $750 million over five years to forge the future of education by redefining the student experience, empowering faculty, driving discovery and connecting to communities. As of Aug. 15, the campaign has raised more than $360 million — 48 percent of its goal.